Your skin is an utterly amazing organ that keeps your insides in and protects you from disease. It’s also incredibly resilient: Although shifting hormones, sun exposure, and certain lifestyle choices impact your skin over time, it doesn’t usually begin to show its age until you’re in your late 30s or early 40s. 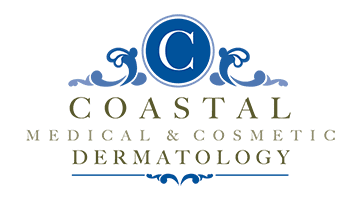 At Coastal Medical & Cosmetic Dermatology in San Diego, La Jolla, and Chula Vista, California, board-certified dermatologist Dr. Darrell Gonzales provides a full menu of advanced clinical cosmetic treatments to help correct a variety of common problems. To learn more, call the office or book your appointment online today. How does photoaging change my skin? Even if you’re diligent about protecting it from the sun, your skin still sustains some amount of cumulative damage from everyday exposure over time. Photoaging, or the premature aging of skin cells caused by regular sun exposure, causes up to 90% of the early signs of premature skin aging. While the effects of photoaging can appear on any skin that’s commonly exposed to the sun, it tends to be most noticeable on facial skin. A chemical peel is a corrective clinical skin treatment used to address the consequences of photoaging. Chemical peels involve the application of a custom, medical-grade solution. After sitting on your skin for a few minutes, the solution is lifted, or peeled away, gently pulling the top layer of your skin along with it. Chemical peels, which can be applied to your entire face or just to specific problem areas, help reduce the appearance of uneven tone and texture, discoloration, wrinkles, and other common flaws. A chemical peel’s depth of action depends on its ingredients, the way in which it’s applied, and how long it remains on your skin before being neutralized. All chemical peels act to exfoliate dead skin cells, improve texture, and help open pores. Deeper peels go even further, helping to correct uneven skin tone and reduce the appearance of wrinkles and dark spots. Microdermabrasion is a minimally-invasive skin treatment that uses a slender, precision device to gently sand your skin, effectively removing the thicker, irregular outer layer. The clinical treatment both exfoliates your skin and stimulates collagen growth for a smoother, younger-looking complexion. What is a SilkPeel Dermalinfusion® treatment? The SilkPeel Dermalinfusion treatment takes the concept of microdermabrasion one step further, using a state-of-the-art, diamond-tip hand piece to uniformly remove the uneven top layer of skin, while simultaneously infusing rejuvenating, ingredient-rich skin serums. Compared to traditional microdermabrasion, SilkPeel Dermalinfusion provides a more controlled, consistent treatment experience that’s fully customizable for a wide range of conditions and all skin types.